Plaza Inn Executive Goianapolis, Hotel Brazil. Limited Time Offer! Plaza Inn Executive. "Plaza Inn Executive" has acquired 3 stars. 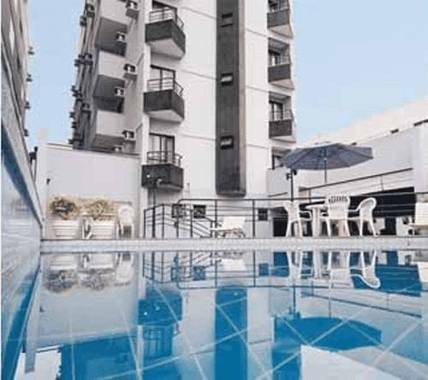 This accommodation is a convenient place to stay when discovering Goiânia. The interior temperature of the rooms is never uncomfortable thanks to the relieving air conditioning. "Plaza Inn Executive" has a swimming pool. There is a gym where you have the option to train by yourself as well as a spa and a sauna. The accommodation also offers massages. Dinner can be served at the onsite restaurant. To add to your stay, there is breakfast available. Staying in touch with the rest of the world is made easy with free Internet access.